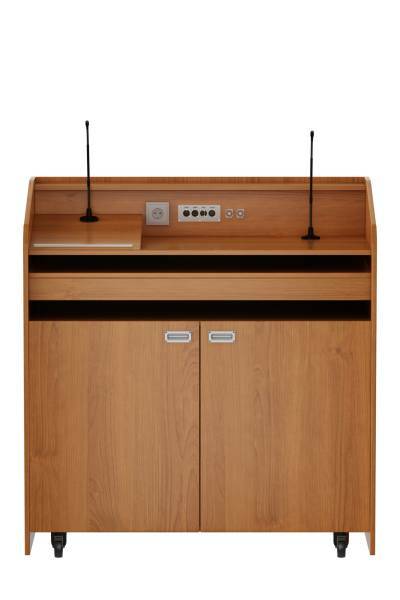 The FDX1 is a modern Front Desk. 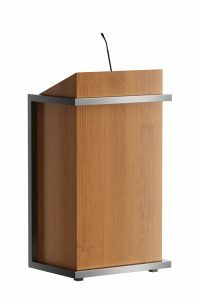 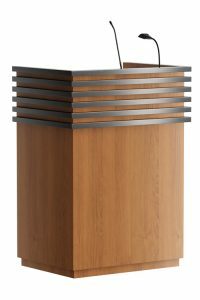 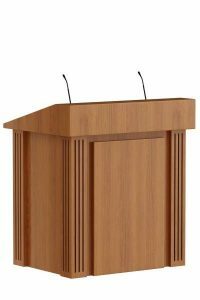 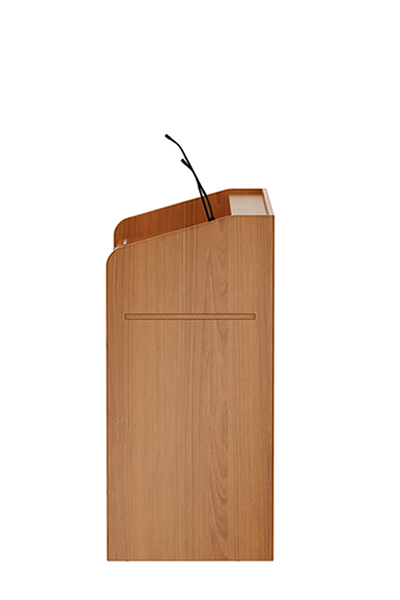 Can be used as lectern in auditorium or as reception desk. 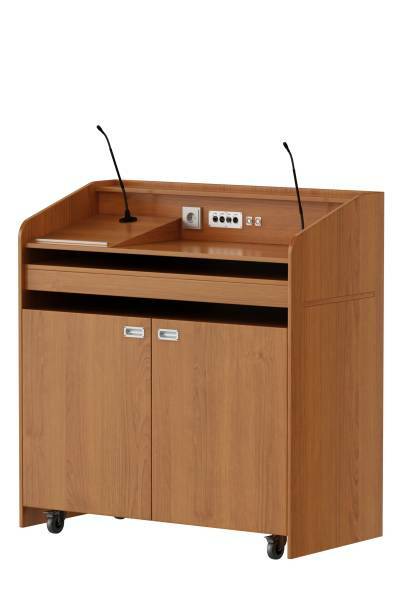 Available as maitre d station for hospitality industry. 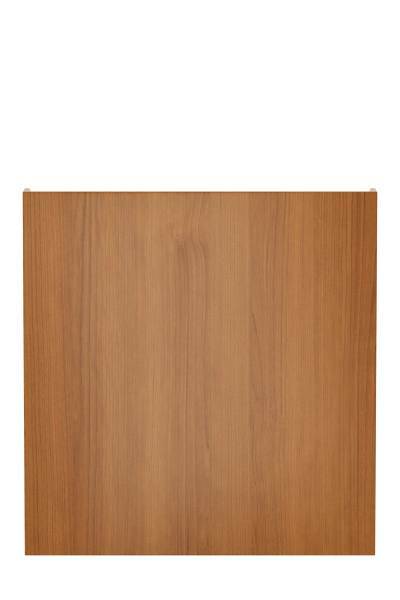 The layout of the doors, drawer and the extendable tray can be customized. 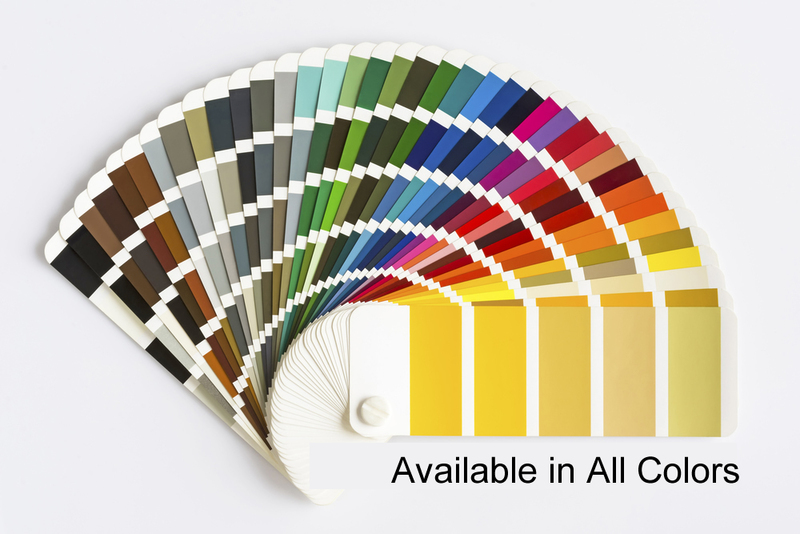 All necessary electrical connections can be integrated. 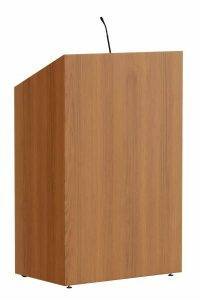 Available with castors or fixed version. 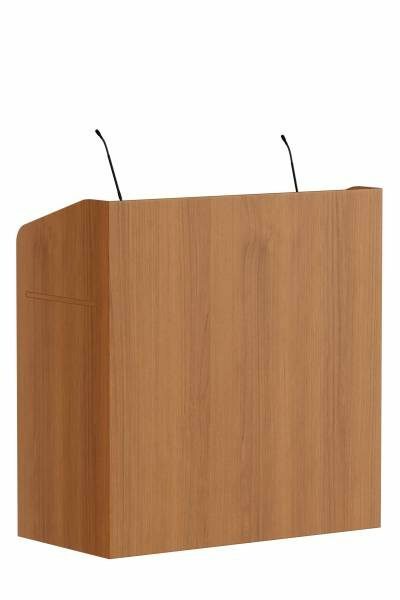 As lectern it is also perfect in the field of education.